Anchovies, Pecorino cheese, and a healthy dose of red chillies come together in a smooth and spicy pasta recipe. Served on penne done perfectly "al dente", your dinner guests are sure to savour every last drop. 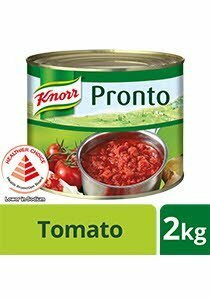 Combining rustic penne pasta with spicy arrabiata made with Knorr Pronto packs a tasty, chilli-fuelled punch that’s sure to warm your diners’ tummies. Watch the tip below to learn another great way to add extra flavour to this dish. Tip video: Make your dish extra flavourful!